“Twas the night before Christmas…” Most of us are familiar with this famous line from the poem “A Visit from Saint Nicholas.” It reminisces stockings above the fireplace, cozy beds, and most importantly, eagerness for the arrival of Santa Claus and his gifts. First, Santa is inextricably tied into the Christmas tradition. Walk into any store during the holidays and you’ll see shelves filled with Santa figurines and ho, ho, ho’s. During the winter season, you’ll see him on everything from plates to coffee mugs. The red Santa hat with its characteristic puffed white tip is a staple party accessory for any holiday party. Also, the night before Christmas wouldn’t be the same without setting out cookies and reindeer treats before bedtime. Santa can be seen everywhere in our popular culture and denying his existence would confuse young children and put a damper on their Christmas spirit. Second, Santa is giving. Santa occupies a children’s imagination and a large portion of their time during the Christmas season. For example, kids write letters to the North Pole and even visit “Santa” in person to tell him what they want for Christmas. 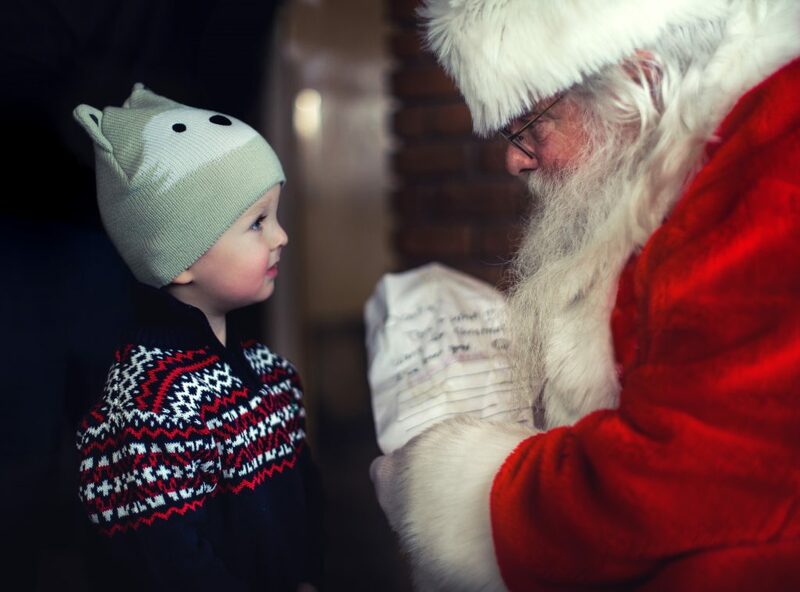 There are “reasons for the season” when it comes to the Christmas spirit, but the prevalence of Mr. Claus’s generosity opens opportunities for parents and children to talk about the importance of giving during the holidays. Third, Santa is magical. Playing into the fantasy of Santa should be viewed as a luxury. Kids are only gullible and innocent for so long, so why not enjoy indulging in a world of flying reindeer, cheery elves, and sleigh bells for as long as you can? Of course, some kids are more gullible than others and it is a parent’s responsibility to eventually tell the truth if their child believes in Santa beyond an appropriate age. However, young children should not be denied the chance to believe in something extraordinary. Telling tales of a rosy-cheeked and barrel-bellied man bringing gifts for Christmas day is not a crime. Like any other childhood fairytale, it adds a spark of magic and reminds us what it means to be joyful.